In the craze of the beginning operation "Protective edge", while glued to news updates across all medias, as the facebook feed was flooded with inflamed posts and comments from all political camps, it appeared that our soldiers are in need of supplies to keep fighting, while the surrounding population was debilitated and held captive in shelters. We had a burning sense we cannot keep quiet. So we decided to open an operation of our own - an operation that began with collecting supplies for soldiers and expanded to assisting hundreds of families, children and elderlies through this difficult summer. We knew our resources were limited, but using personal connections, we managed to reach relevant persons in the army and the southern municipalities, who helped us understand who is most need of our assist. Svetlana from Ashkelon, CEO of "Family- Single parent families in the south"- a voluntary organization, presented a grim picture of concerned parents, traumatized children and fleeing residents. Most of the population that remained in the rocket ridden cities were single mothers and olim, who's economic situation did not allow them to flee to the center. The felt helpless and didn't know how to handle the situation. We decided to bring up this issue before our community and started to raise money, first and foremost to assist soldiers and to help families on the home front. In no time, with your help – Fishka friends in Israel and across the world - we managed to raise 10,436 shekels. The rumor of our operation spread quickly and various organizations joined our efforts and donated lunches, free rides, kids activities and etc. Among them was the quick to responce Shusterman foundation which donated 2000$. For the soldiers we assembled care packages (150 packages valued at 4525 shekels). For the 50 olim families in the line of fire we planned a fun day to the children's museum in Holon, the ice-capades and others. 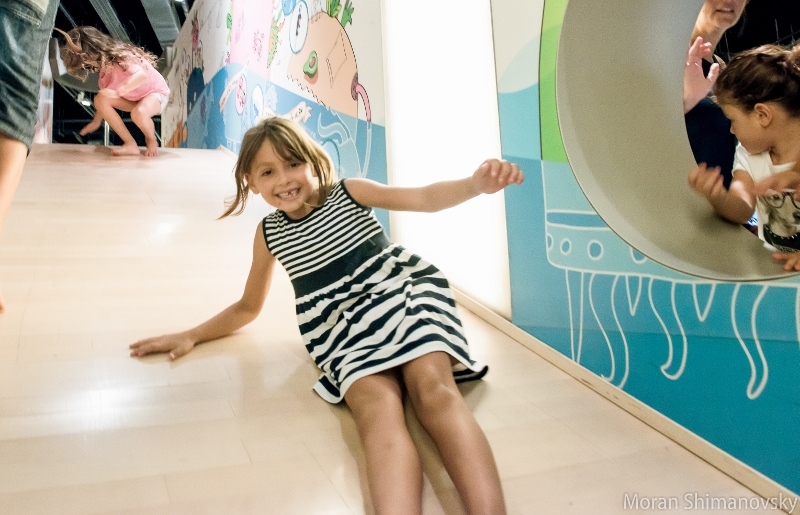 We also arranged for families to be hosted by others in the center, so they could enjoy a few days of quiet. 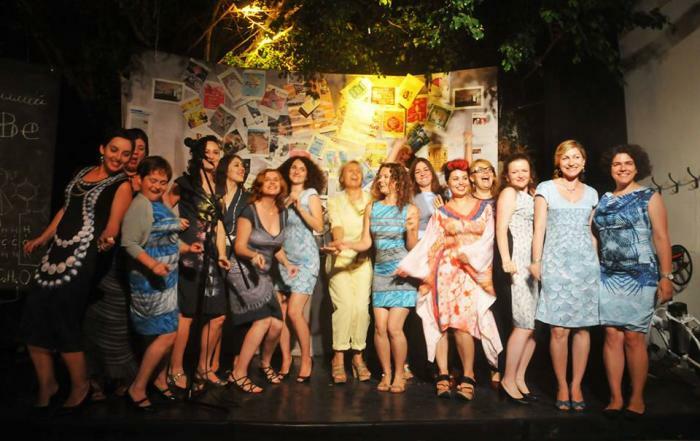 The family project was lead by Keren Bakman & Sasha Kuchinsky ,team of Fishka's young families project "Mamas & Papas". The cost of our efforts amounted to 2369 nis. The response to our initiative was enormous, so we decided to continue our efforts. We were informed that many elderlies in the southern cities live in poor conditions are lonely and in need of care and attention. The elderlies, particularly those in the southern cities, are an especially compromised population. They often live in poor conditions, their Hebrew skills are low and sometimes they lack the support of families and are generally of low socio-economic status, thus the war found them particularly vulnerable. With the help of volunteers from Fishka's "Art of Time" project we created the "Grandma Operation", which included a day of fun activities for olim elderlies at an Ofakim Amigur -social housing. The artistic part of the program was lead by Genia Fayerman, an amazing 89 year old singer, known among Yiddishphiles as the "Polish Edith Piaf". As soon as she heard of our initiative, she joined enthusiastically and put on an amazing show, singing in every possible language and rejoicing the eager crowd. Alternately we set up an improvised spa area providing shiatsu massages and organized group games. We also reached out to small local businesses, on which the war had taken a toll and invited a group of hairdressers and manicurists to give the elderlies makeovers. At the end of the day we used a local grocery store to assemble care packages for the upcoming shabat. This entire operation lasted only several hours, but even in that short period of time, we could see the elderlies opening up, relaxing and smiling more.When we first arrived we encountered people who were dejected, cynical and skeptical of us but slowly, they opened up and started sharing their stories with us. They told us they've avoided leaving the premise of the home out of fear they'll be caught in a siren when they're outside, and would not be capable to reach a shelter. They told us about their lives and even managed to squeeze in a few jokes and requested we visit them again during peaceful times as well. 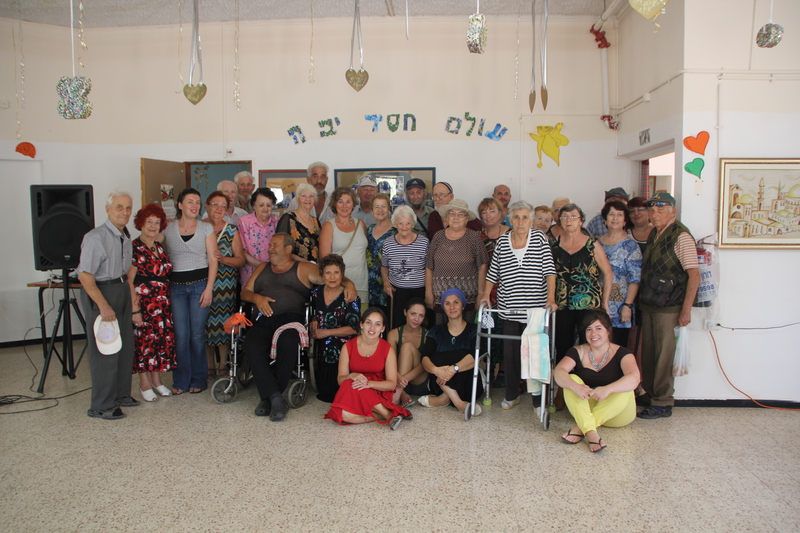 A week after our successful project in Ofakim, we initiated a similar one at a Beer-Sheva Amigur- home for more than 200 Russian speaking elderly people . Similar to Ofakim, the Beer-Sheva initiative was also a success. The total cost of the "Grandma Operation" was 6205 shekels. Meanwhile the operation continued. 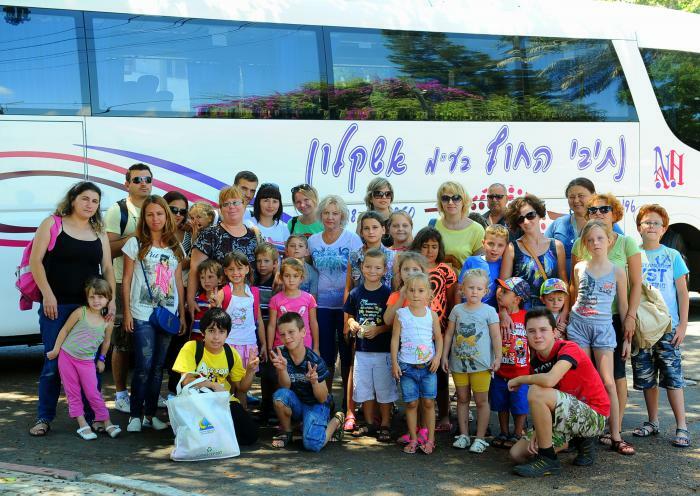 The kids in the bombarded cities were forced to spend their summer vacation in shelters, so we decided to raise another "fun day" for families and kids from Ashkelon. 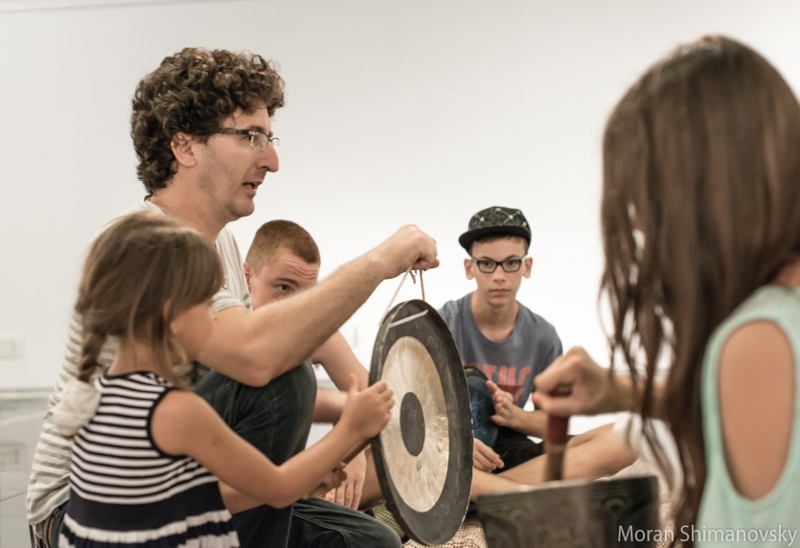 This time we collaborated with Bet Hatfutzot and arranged a trip to the center, which included interactive exhibits about history and genealogy, workshops led by artists who entertained the kids with science , dance and movement activities and lunch provided by Domino’s Pizza. We still have 4138 shekels from your donations and from the money we received from Shusterman foundation, which we’ll spend right after Sukkot holidays. 2700 shekels will be spent for necessities for lone soldiers who need help and who participated in “Tzuk Eitan” operation. 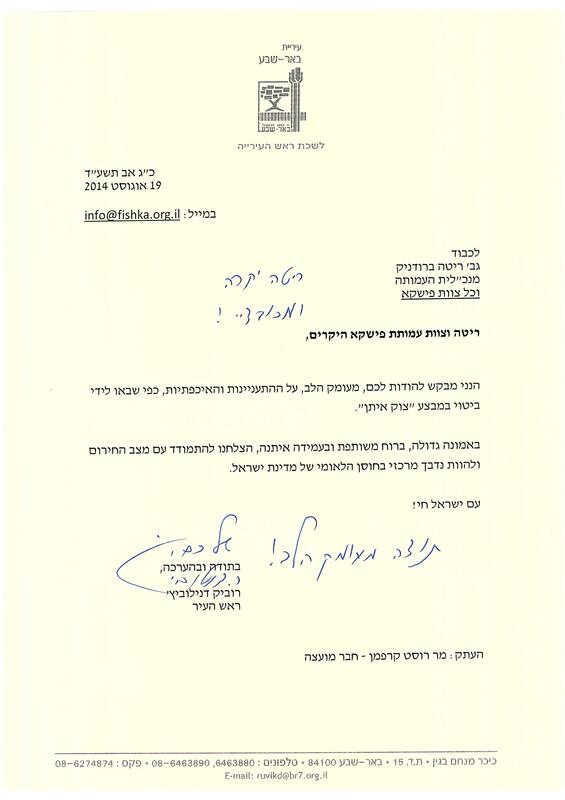 And 1438 shekels will be spent in order to help young families from Ashkelon by organizing a weekend for them, including intensive ulpan courses, instead of studies missed during “Tzuk Eitan” operation. In normal times, Fishka is a community of young, Russian speaking, social entrepreneurs based in Tel-Aviv. Its goal is to help and further community life and the Russian speaking one in particular. We are currently operating without headquarters, but despite that, we discovered our friends in Israel and across the world came together to support our cause. Looking back, we are amazed at the staggering success of the projects we launched during operation "Protective Edge". We were able to form new bonds and friendships with municipalities such as Holon, Beer-Sheva and Ashkelon and strenghten the ties with foundations from abroad like the Shusterman Foundation, The Genesis Foundation and other philanthropists. We could not have done it without their generous contributions and assistance. And the most amazing is the amount of people reaching out to us and willing to volunteer, who seek ways to contribute, share and support those initiatives. Keren Katia Bakman,Sasha Kuchinski,Rita Brudnik,Victor Levin,Zenia Faierman,Pavel Kruchinetski,Vlad Bugalovski,Marina Rodinski,Boris Shindler,Iliya Dvorkin,Dana Segal Vaingram,Rafaela Dali,Hanita Uchakovski,Oksana ros,Rost Kuperman,Igor Eichorst, Svetlana Michko,Yelena Yevesiva,Shimon bar,Genadi Gutkin,Naum shik,Ana Bertenovski,Svetlana Shvab,Zlata Alon,Yuli Grosbaum,Yulia Sluzki,Arie Libshin,Oksana Miler,Daniel & Terry Kishinevsky,Shai Farber, Aleks Galchinski,Katia Pubants,Avigail Aharonson,Diana Gern,Helena Kovalsky,Alexander Korneman,Ana Valikovskaya,Alexander Lodzinsky,Angela Rozenberg,Nina Gofman,Helen Buchumensky,Zenia & Inna kovalenko,Yanina Katanov,Shoshi Shaham,Rubin Marks, Bar Kahat,Ronen Yanushevski,Vered Gadankni,Ira Kamenina,Ira Luzovski,Ilia Zikel, Sasha Zebrak, Daniel Bruk, Ariel Krizopolski,Amit Lavi,Moran Shimanovski. Shusterman foundation,The Municipality of Beer Sheva, The Municipality of Ashkelon,The Municipality of Holon, "Amigur" company,"Smart Winners" company, Domino's Pizza Israel,The Museum of the Jewish People-"Beit Hatfuzot".